I aim at building bridges on biomaterials between medicine, clinical imaging and materials engineering research. 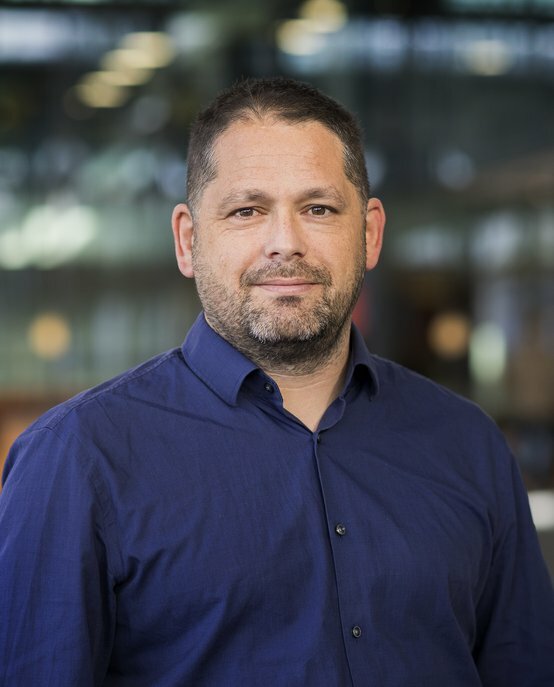 Chris Arts is Associate Professor of Translational Biomaterials at the TU/e research group Orthopaedic Biomechanics and at the Maastricht University Medical Centre where he heads the Laboratory for Experimental Orthopaedics. His clinical research focuses on translational biomaterials for delayed bone healing, infection treatment and spine deformity correction. This entails both the mechanical and biological assessment of biomaterials safety and efficacy performance but also longitudinal metabolic changes in the body. Utilizing high-resolution imaging combined with computational modeling the incorporation, remodeling and resorption phase of the biomaterials with the host tissue can be assessed. Furthermore assessment of bone healing in clinical patients; and evaluation and implementation of 3-D printing materials science and technology is a focus area. At Eindhoven University of Technology the focus of Arts' research is in assessment of contribution to mechanical bone strength of biomaterials during incorporation, remodeling and resorption phase using image analysis and validation and Finite Element Analysis (FEA). Chris Arts studied Physiotherapy at Saxion Hogeschool (Enschede, The Netherlands) where he obtained his BSc in 1997. From 1997-2000, he received his Master's education in Human Movement Science at Maastricht University (The Netherlands). He then started his PhD research at the department of Orthopaedic Surgery at RadboudUMC (Nijmegen, The Netherlands). He obtained his PhD from Radboud University Nijmegen in 2005 with his thesis 'New developments in Bone Impaction Grafting' under supervision of professors Rene Veth, Pieter Buma, Nico Verdonschot and Berend Willem Schreurs. From 2005-2008, Arts was a Clinical Research Manager with Stryker EMEA. Since 2008 he is Associate Professor of Translational Biomaterials at the Department of Orthopaedic Surgery at Maastricht University Medical Centre and the Care and Public Health Research Institute CAPHRI. Since 2009 he also is a lecturer and scientist at Eindhoven University of Technology (The Netherlands), where he was appointed Associate Professor of Translational Biomaterials with the Orthopaedic Biomechanics research group in 2017.